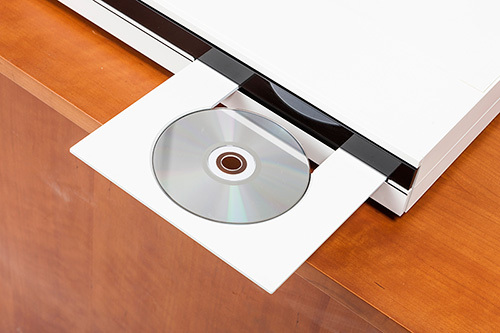 CDs and DVDs are remarkably resistant to casual scratches and gouges but sooner or later everyone has a disc that causes a CD player to skip, or, in the case of DVDs, show odd video artifacts. When a scratch prevents the laser beam from reading data, both CD and DVD players have built-in digital circuits with lots of redundancy to correct for "drop-outs." These correction circuits search for and replace missing data until eventually the damage exceeds the CD player’s ability to electronically compensate for the scratch. That’s when the machine skips. Check to see if a scratch is beyond repair by holding a CD up to the light. If you can see light through the scratch, forget trying to fix the CD. Scratches on the upper label surface are impossible to repair. But on the shiny playing side of the disc, a quick polish with any liquid auto wax will often fix minor scratches. Apply a few drops of the liquid wax to the damaged area, then wait for it to dry to a haze. Carefully buff away the haze with a soft cloth or cotton ball. Don’t buff in a circular motion around the CD - do it across the disc. It’s easiest if you put the disc on an old towel on a flat surface to do the work. You can buy special CD/DVD commercial polishes and scratch removers, of course, but I’ve found that liquid auto wax is just as effective. If scratches are too deep, there isn’t much to be done, although in the case of CDs, there are noticeable differences from one player to another in the sensitivity to damaged discs. Read the next tip: "Cleaning Staticy Controls"